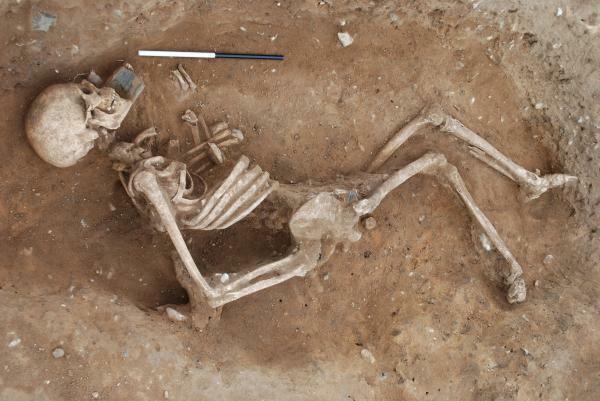 Archaeologists excavating the Roman town of Venta Icenorum aka Caistor Roman Town in Norfolk, England, have uncovered a skeleton buried in a strange way. Instead of being laid out neatly as is customary with Roman burials, this body is on its side with its hands behind his back. “This one has been seemingly put sideways into a shallow pit and the ground surface would have barely covered it. It’s folded up and at first sight it seems to be a very strange-looking individual. “The question is whether we are in a cemetery area of the town or if we are looking at something stranger. None of us who have worked on Roman cemeteries in the past have ever come across anything like this. 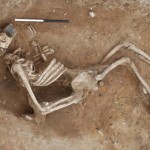 University of Nottingham archaeologist Dr. Will Bowden speculates that he might have been executed or murdered, which would explain the unusual posture. Dr. Bowden, incidentally, has been working on the Caistor site for 2 years. 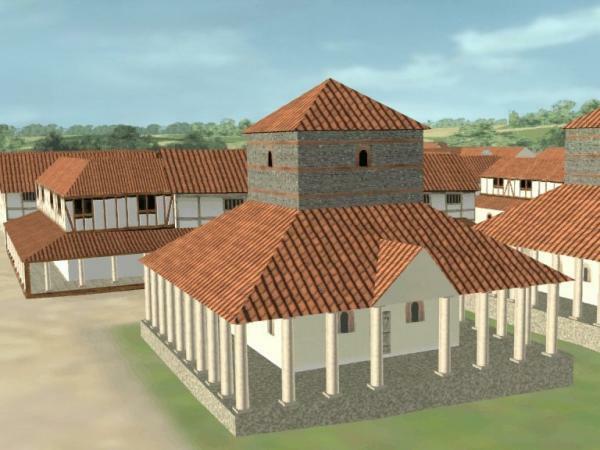 His team surveyed the site using a Caesium Vapour magnetometer which produced a detailed map of the entire buried Roman town. The street plan was already known from aerial photographs, but this survey was much more detailed, including the water supply system, the baths, temples, the forum and a semi-circular building that might have been a theater. They also discovered some circular features that may predate the Romans, suggesting a possible previous settlement by the Iceni, warrior queen Boudicca’s people. 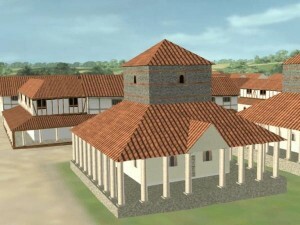 The Roman town might have even been built on top of the Icenian settlement in retribution for the rebellion. Caistor is under happy green fields now — which is one of the reasons it’s such a valuable archaeological gem because you don’t have to upend a couple of thousands years of incremental building to get to the Roman parts — and before the recent survey, people thought the Roman town was abandoned when the empire fell apart in the 5th c.
They’ve found some indications of Saxon settlement, though, which pushes back Caistor’s demise to the 9th c., when nearby Norfolk became the population center.